Knight was shot several times during a party before the MTV Video Music Awards at 1 OAK in Los Angeles in 2014 and he is now alleging the former N.W.A. star hired a hitman to kill him because of a bad business deal. According to TMZ, Knight and Dr. Dre had a lifetime management deal, which guaranteed the rap mogul up to 30 per cent of the rapper's entertainment earnings. However, he claims after Dr. Dre signed a deal with bosses at Apple for the purchase of his Beats By Dre music accessories line, he tried to cut him out of the contract. In the suit, Knight claims Los Angeles County Sheriffs questioned a man named T-Money and he allegedly claimed he was hired to murder the 50-year-old. He also alleges Straight Outta Compton technical adviser Cle 'Bone' Sloan was hired by Dr. Dre and bosses at the film's studio Universal Pictures and was paid $300,000 (about R414 0975) to take out Knight. The rap mogul is currently facing murder and attempted murder charges after allegedly running over Sloan and businessman Terry Carter, who died, as he attempted to flee a movie set following an altercation in January, 2015. 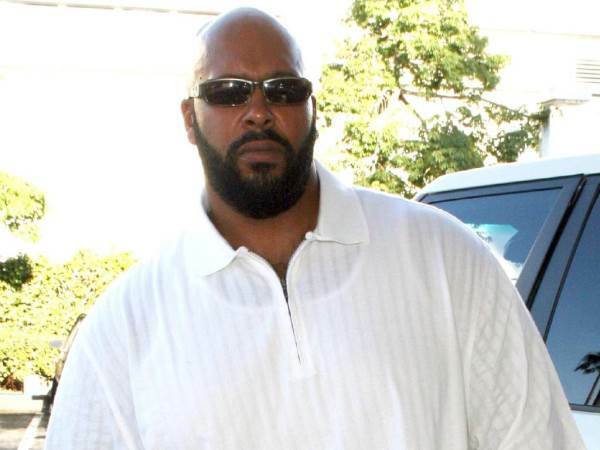 Suge, real name Marion Knight, is suing Dr. Dre and bosses at Universal Pictures and Tam's Burgers, where the incident took place, and he is seeking unspecified damages and 30 per cent of Dr. Dre's earnings from the Beats By Dre deal. Knight is due to stand trial in February, 2017. Meanwhile, Knight is also battling a wrongful death lawsuit brought against him by Carter's widow in June last year. Former N.W.A band members Ice Cube and Dr. Dre were also initially named in the suit, but last week a judge cleared them of any responsibility for Carter's death. Neither rapper was on the film set when the altercation between Sloan and Knight took place.